New national digital radio station JACK Radio launches today at 12 noon and unveils a new world first broadcast radio format. Playing 100% female artists, the station provides a platform for women in music, from the female stars of the past to today’s main artists, along with new and emerging female talent. 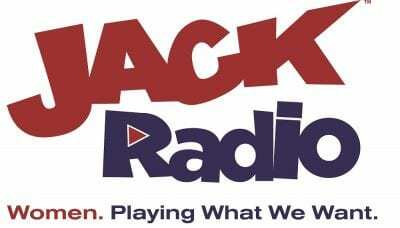 JACK Radio is available across the UK on DAB, online at JACKRadio.com, through RadioPlayer and via the JACK Radio app. Next year, JACK Radio will add new programming elements, including content from women’s sports, highlighting major achievements and news in this growing global category, and comedy. JACK Radio comes from the team who created Absolute Radio and who are behind the highly successful and multi-award-winning JACK fm, JACK 2 Hits, JACK 3 Chill and Union JACK. JACK Radio will feature a wide range of women in music, from Adele, Kylie and Beyonce, to Aretha Franklin, Whitney Houston and Dusty Springfield, all of which will be seamlessly brought together with witty interjection and, eventually, engaging and intelligent programming.